Ginger Thatcher teaching at Steps on Broadway. Photo courtesy of Thatcher. We are dancers. Maybe we’re born that way, maybe we fall into the art form and it becomes our passion. And with hard work, dedication and training, we can make a life of dance for ourselves. But what else does it take? What else makes us a dancer? For most of us, we wouldn’t be who we are as a dancer without some super inspiring teachers who have guided us somewhere along our path. 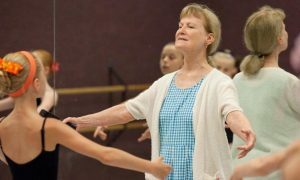 In this series, Spotlight on the Teacher, Dance Informa will look at some influential dance teachers – where they came from, how their teaching style has developed and what they hope students get out of their classes. First up is ballet teacher Ginger Thatcher, who has choreographed dozens of works for theater, television, film and concert dance. 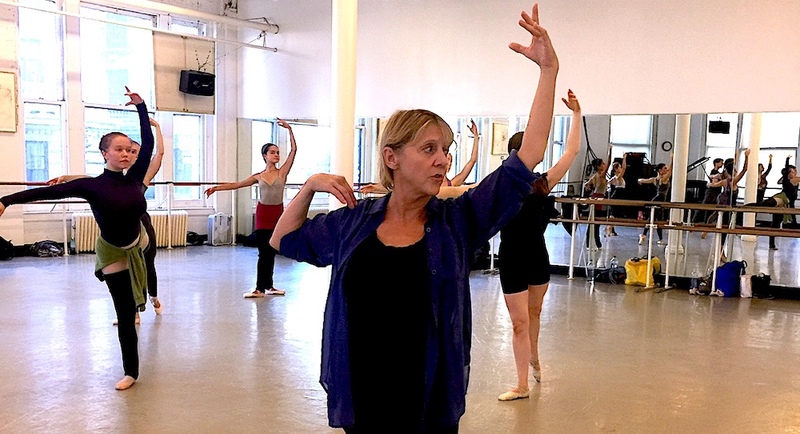 She currently teaches open ballet classes in New York City at Steps on Broadway, Ballet Academy East, the new RIOULT Dance Center and more. What’s your dance background in terms of training and any professional experience? “I am a Navy Military child, so my family moved every two to three years. I am still amazed that I was able to receive the training that I did growing up. I began my training while in California, with my first teacher, Milada Miladova, from the Kirov Ballet, with Vagonova technique. Moving to Pensacola, Florida, I assumed that was the end of my training but pleasantly found a wonderful teacher with Marion Venable Close, the founder of the National Ballet in Washington, D.C., and a former dancer with Joffrey Ballet, Bernadette Clements. 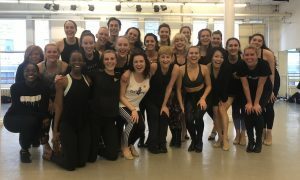 It was Bernadette who ultimately was the reason I received a scholarship to the Joffrey Ballet School in NYC when she hosted a Joffrey Workshop with Meredith Bayliss and Dorothy Lister. When and why did you begin teaching? Who and/or what have been your biggest inspirations for your teaching? 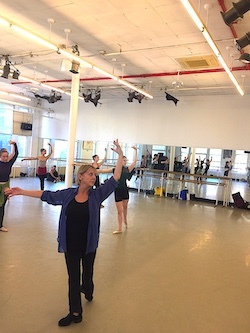 Ginger Thatcher teaches Mondays, Wednesdays, Saturdays and Sundays at Ballet Academy East, Tuesdays and Thursday mornings at The Rioult Dance Center, and substitutes regularly at Steps on Broadway. Look out for her website, coming on March 4! Do you have an inspiring teacher you think Dance Informa should spotlight next? Be sure to leave a comment below!